I am always amazed at all the pundits professing why markets go up and why they go down. Everything from politics and interest rates to military actions can be the cause. When all you need to do is follow the CASH. Markets go up and Markets go down based on the amount of net cash flows entering and exiting that particular market. We see the stock market going up almost every day and we hear it is because the new tax plan is going to be passed. The reason is so simple… follow the cash. Let’s study the different sectors of the Capital Markets such as Real Estate, Stocks and Bonds and make believe we have a pile of cash spread across our kitchen table. On any given day, we need to make a decision with our cash. Do we invest in stocks, bonds or real estate? We look at the potential of each investment and make a decision based on the information we have at hand. If we are investing based on appreciation, we only make money when the asset goes up and we lose money when it goes down. If we follow the cash, we can determine which asset will increase in value. If we see money exiting the stock market and the bond market goes up, it means that money from stocks is leaving and entering into the bond market. The mitigating factor to all this simplicity is the Cash flow being generated within the investment. 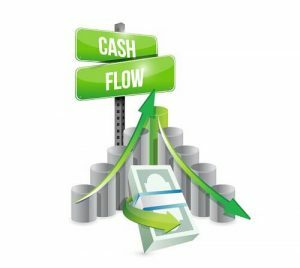 Like Dividends on stock or Net Operating Income (NOI) from real estate, these cash flows allow us to step back and slow down the decision making process of constantly rolling over our investment from asset to asset. In other words, we get paid to wait as long as the cash keeps rolling in. For the average investor, this is golden. The most compelling reason to invest in real estate is the fact that is a preferred asset class in the United States. One reason is that real estate provides jobs in construction, banking, and provides housing and manufacturing facilities. To that end, Congress has passed legislation that allows the investor to depreciate the asset, lowering his taxable income, and defer taxable gains indefinitely through 1031 Tax Deferred Exchanges. This fiscal benefit greatly enhances the after tax cash flows and continues to push more cash into these types of investments. So my advice is to Follow the Cash and simplify your Life.